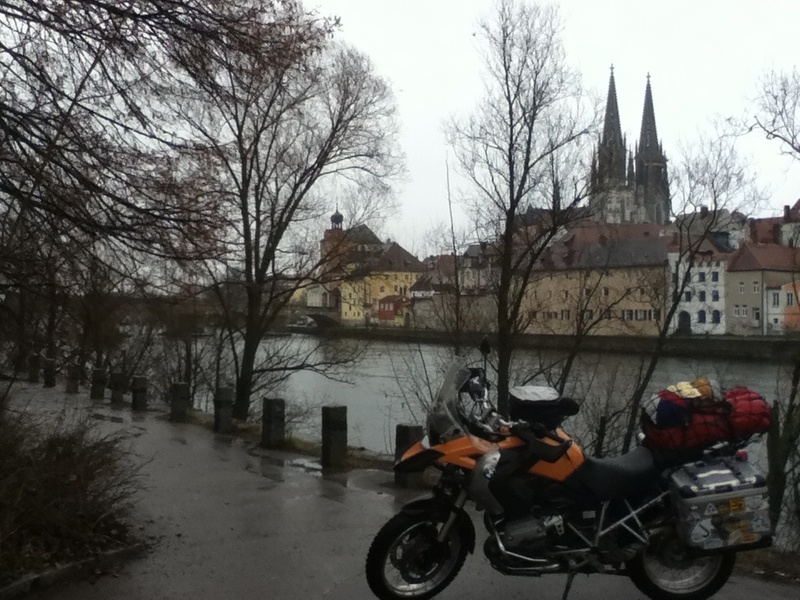 Regensburg - Rainy castle, indeed! 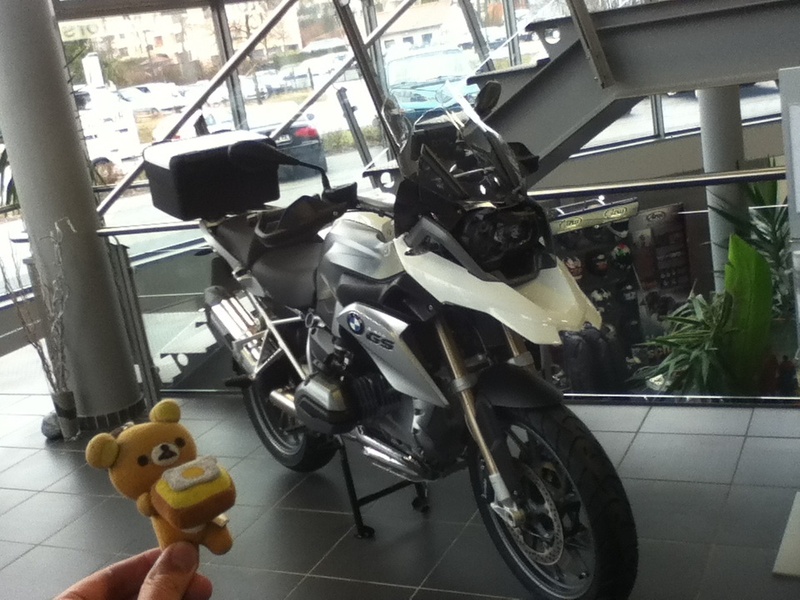 I went to the BMW dealer "PIA Motors". I needed to get the final drive oil changed. As Friedel called the workshop yesterday, Marcus the service manager was ready to do the work for me! 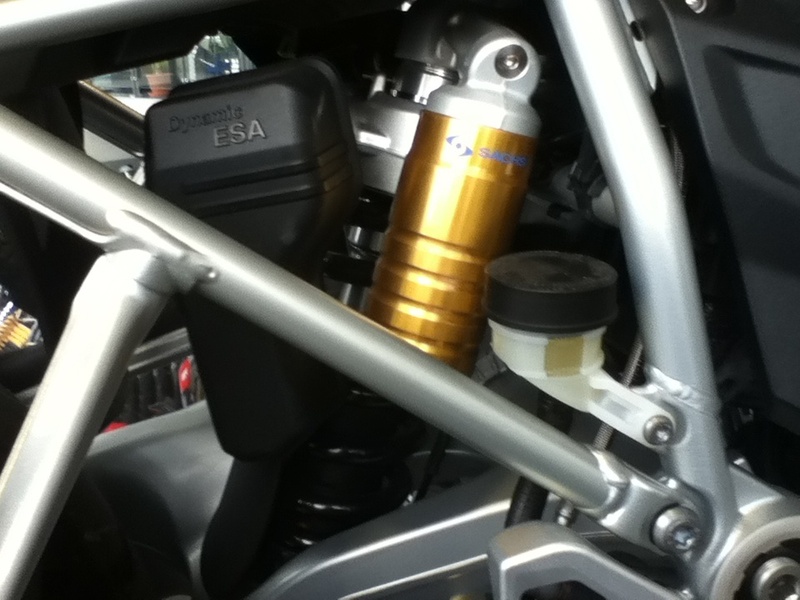 While waiting, I saw the brand-new R1200GS liquid cooled!!! 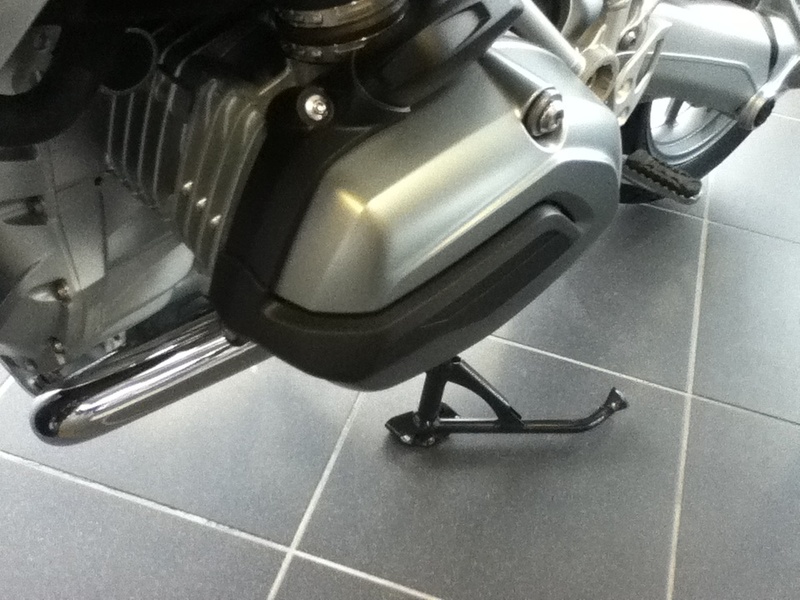 Yes, it has a newly developed "liquid cooled" 1,200cc boxer twin! 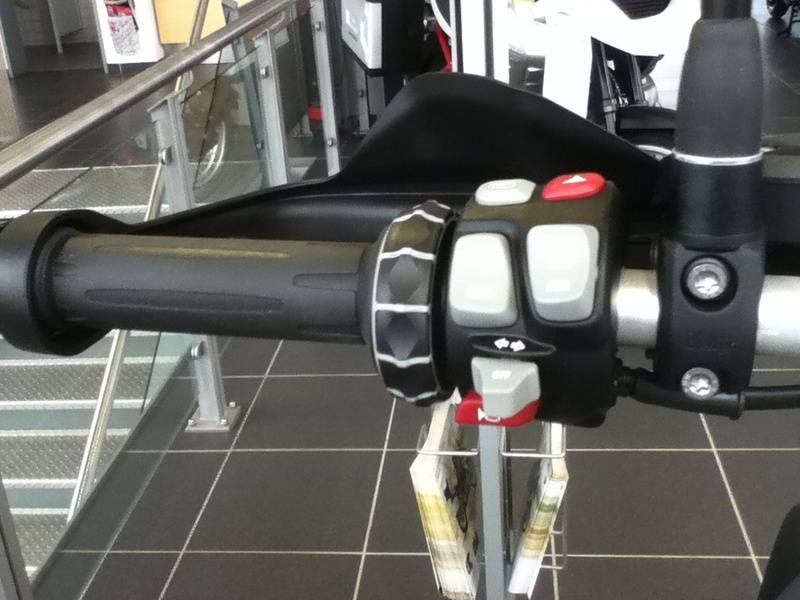 The shock absorber is made by SACHS - a German brand. The owner of the shop came to see me! Unfortunately I lost his name... Sorry. We talked about the trip and other adventure riders. He told me to be careful as it's gonna be still cold in Europe. The service charge was just €38. The owner and Marcus in front of the shop. Thank you guys! 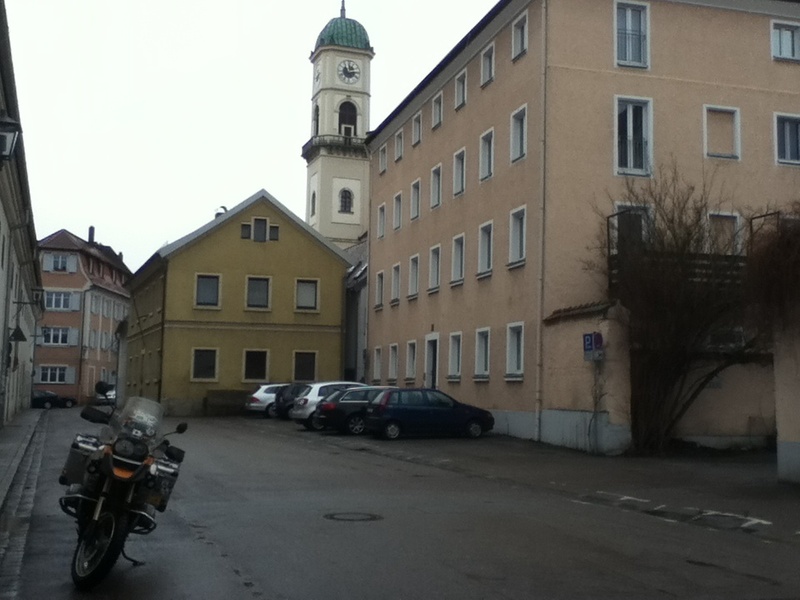 It was still raining, but I went to the old town of Regensburg. The old town is located in the island of the river, and it's complicated to get there. I reckoned if it was sunny, walking in the town would be nice! The view of Cathedral from the river side. I'd like to visit here again when I come back to Germany one day. Ok, I gotta ride to Pilzen! 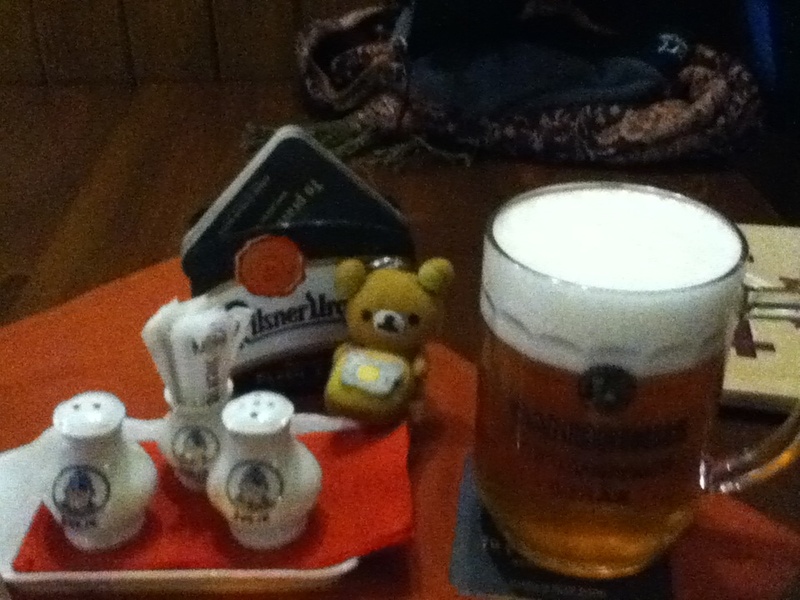 I took a motorway to Pilzen. It went north and then to east. As I got closer to Czech Republic, the fields were covered by snow and it got deeper and deeper! But the air temp was above 4℃, so I felt better than yesterday. The most of all, I could ride with the visor shut! 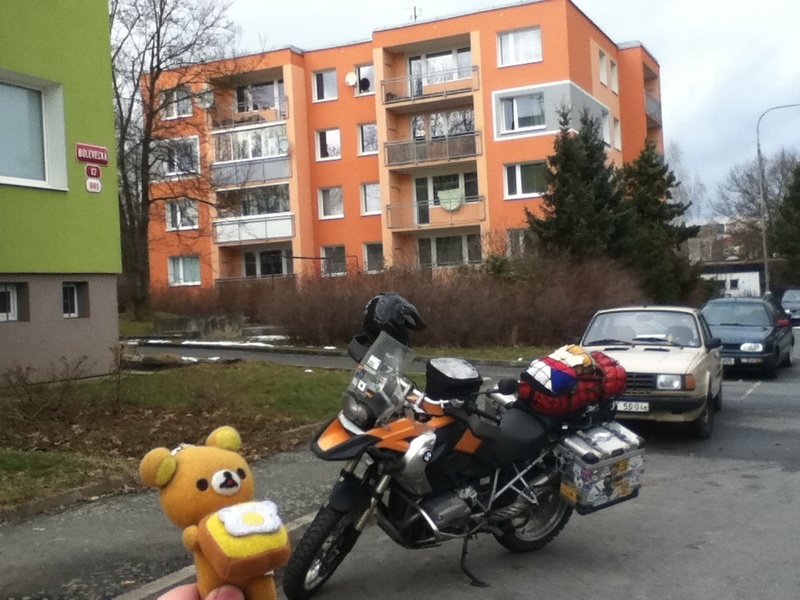 Then I came back to Czech Republic! 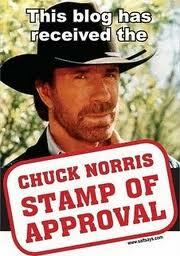 There was no border control, so I could ride pass the border. I got to Pilzen at 2pm as I planned. I went straight to Tom's place. Thanks to the GPS! Tom is busy with his Uni works, but he welcome me! As there is no garage for Esperanza, Tom took me to Pavel's place. I met Tom and Pavel near Nord Kapp. I was with Magnus and we saw 2 little bikes in front of us. We overtook them and we were surprised that they were JAWA 250cc 2 stroke bikes! Then Magnus and I found a camp site and it was raining, so we took a cottage for a night. Then 2 young men on JAWAs came to the camp site! We made friends there and they invited us to Pilzen! So I went to see them last September. It's been half year already. Pavel had a work to do, so Tom and I went home at once. I took a shower and relaxed. We came to the conclusion that I should head down south ASAP. 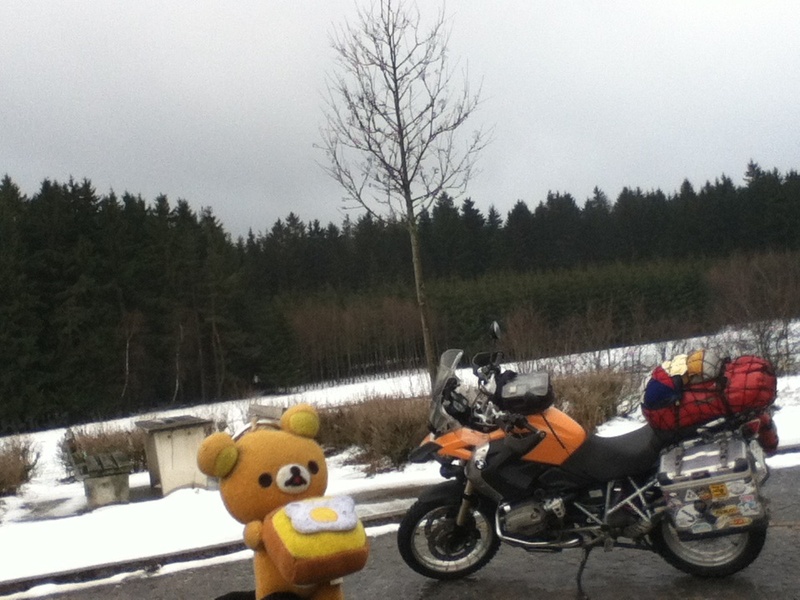 So tomorrow, I will ride to Linz or Vienna of Austria. 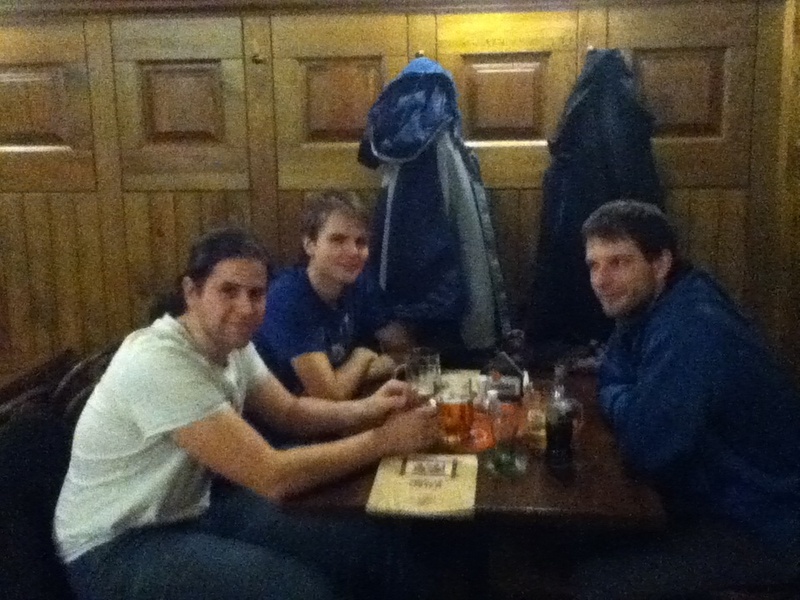 Then in the evening, we went for a drink at a pub. Philipe I met last September also joined us! Then we went to a movie bar (?) Michaela and Peter joined us. The movie was the British movie but it was doubled with Czech, so I couldn't get the story line! But with those young bright people I could have a fun evening! 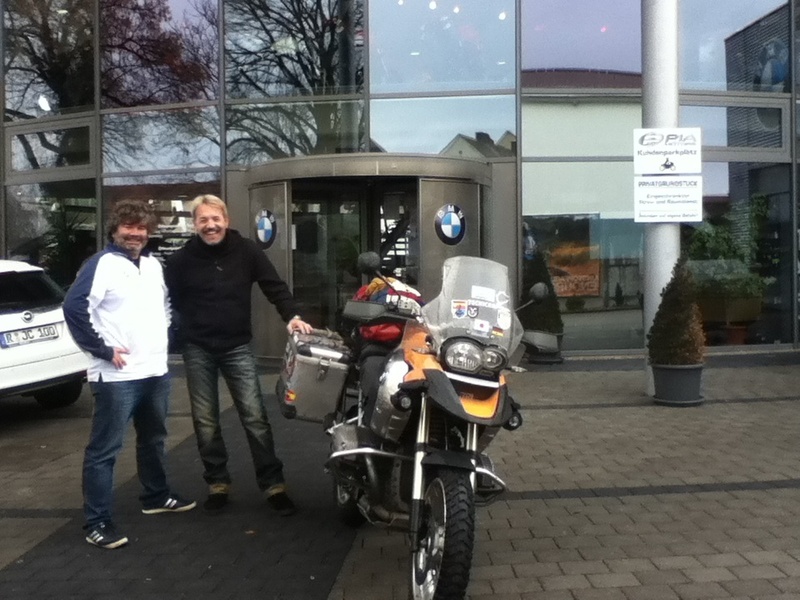 Tomorrow, I will ride to Vienna. Then I will decide if I am going through Hungary, Romania and Bulgaria or through Slovenia, Croatia and other Balkan nations to Greece.